Nuclear Air Filters Market offers products such as carbon filters, pre-filters, and High Efficiency Particulate Air (HEPA) filters. HEPA filters are ahead of the curve due to their remarkable efficiency and phenomenal potential to eliminate droplets, contaminants, and sub-micron sized particles with advanced particle attraction and diffusion techniques. The report claims that HEPA filters have the ability to eliminate about 99.97% of air pollutants. Additionally, the harmful particles from the air are trapped even before they reach the final filtration process, which maintains the condition of the product in the long run. Currently, nuclear air filters are being used for the purpose of removing allergens, asthma triggers, bacteria, dander, mold, dust mites, and pollen. The demand for carbon filters is expected to spike in the coming years due to their ability to remove organic acids, aldehydes, ethers, esters, chlorinated hydrocarbons, ketones, sulphuric acid, phosgene, halogens, and other airborne chemicals. The adoption of nuclear air filters will also be augmented in the residential segment as they are known to remove odor from humans and animals. The demand for nuclear air filters is expected to grow against the backdrop of their key feature of removing household chemicals, volatile organic compounds (VOCs), and perfumes. Air purifiers that are equipped with various activated carbon are expected to gain momentum in the coming years as they deliver better performance while filtering certain noxious aerosol compounds. From the industrial point of view, the persistent development of nuclear power plants is expected to have a positive impact on the global Nuclear Air Filters Market. The growth of the nuclear energy market worldwide is widening up the opportunities for its affiliated industries – one of them is nuclear air filters market. The market is solely dependent on the deployment of nuclear power facilities, thus it follows the trends of the nuclear energy market in terms of drivers, restraints, and prices. Nuclear air filtration systems play an imperative role in the fuel processing installations, nuclear energy research facilities, and waste management units. Their ability to execute resourceful processing and filtration of air and water for higher operational efficiency is anticipated to drive their demand. Some of the key nuclear end users of these filters are power reactors, test and research reactors, and fuel plants. 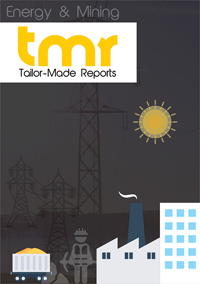 The report serves as a repository of analysis and information regarding various critical aspects of the global nuclear air filters market including its dynamics, geographical segmentation, and competitive landscape. It profiles prominent players in the market along with their business strategies and latest developments. It offers insights into the statistics pertaining to the market. The increasing safety concerns and strict environmental laws are mandating the nuclear power generation units to deploy robust air filtration systems. After a number of nuclear accidents in the past, a greater degree of accountability and responsibility is demanded from nuclear establishments. This along with the pressing need of cutting down radioactive emissions and nuclear air pollution is fuelling the market. Moreover, it is estimated that the life extension of nuclear power generation plants is higher than other types of power plants. To keep the reactors running unfailingly, the maintenance of each component becomes crucial. Therefore, components such as air filters find strong demand in these power plants in new as well as retrofit applications. However, the various incidents of nuclear disasters have resulted in negative publicity of nuclear power generation among public, which in turn is retarding the growth of the nuclear energy market and its overlying industries. Moreover, the rigorous process of obtaining green certification, which is required to launch these products is hampering the growth of the global nuclear air filters market. Nevertheless, rapid technological advancements are likely to create ample growth opportunities for the market. The key regional segments studied in the report are North America, Europe, Asia Pacific, and Rest of the World. Countries having well-established nuclear power generating facilities and research establishments are expected to serve as the major contributors to the growth of the global nuclear air filters market. Therefore, while Japan, South Korea, India, and China are the key contributors in the Asia Pacific region, the most of the growth of North America will be propelled by the U.S. In Europe, the U.K., France, Russia, Sweden, and Germany will hold great potential for the market. CLARCOR Inc., Porvair Filtration Group, Flanders/CSC Corporation, AAF International, Nippon Muki Co. Ltd, Camfil AB, Axenic Systems, Lennox International Inc., ATICO Medical Pvt. Ltd, Advance International, and Air Filter Industry Ltd. are some of the key players in the global nuclear air filters market.